Embrace the urge to curl up in a cozy nest this winter! Blustery weather gives you the perfect opportunity to create a warm and peaceful atmosphere inside your own home. A few decorating touches can make a nice seasonal update, as well as help you make the transition to spending more time indoors. Colors from nature will warm your interior and cancel out the winter chill. Warm tones are welcoming, so surround yourself with golds and yellows, rusty oranges, and woodsy greens and browns. Scatter a few extra pillows on the sofa, layered like piles of leaves. Introduce some gold, brass, or copper accents – they bring warmth and character as well as a festive look. Textures warm up spaces by adding depth. Replace summer bedding with a thick comforter in seasonal colors. 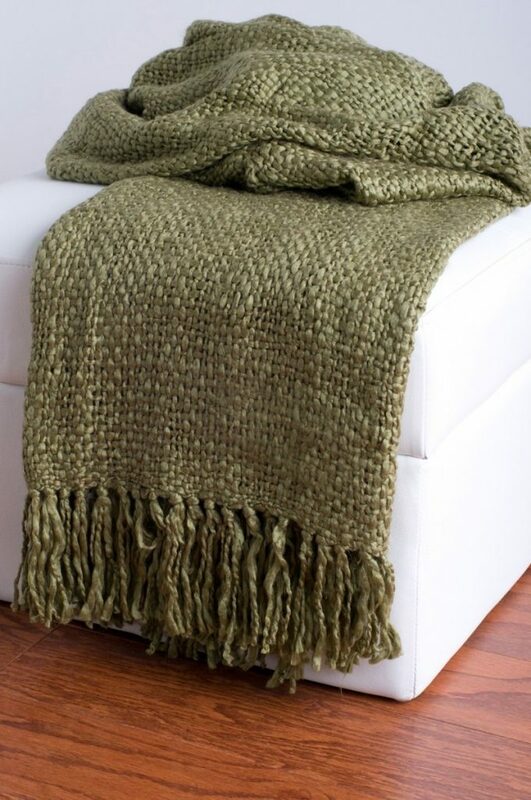 Keep a few extra wooly throws on hand to pull up from the foot of the bed on chilly nights or on the back of the sofa, ready for a fireside snuggle. Carpet runners or area rugs go a long way to rescuing feet from cold floors. Change out sheer curtains for heavier window treatments – they’ll add weight to the room as well as protect against drafts. Wood – Natural or finished, rough or polished, wood brings warmth. 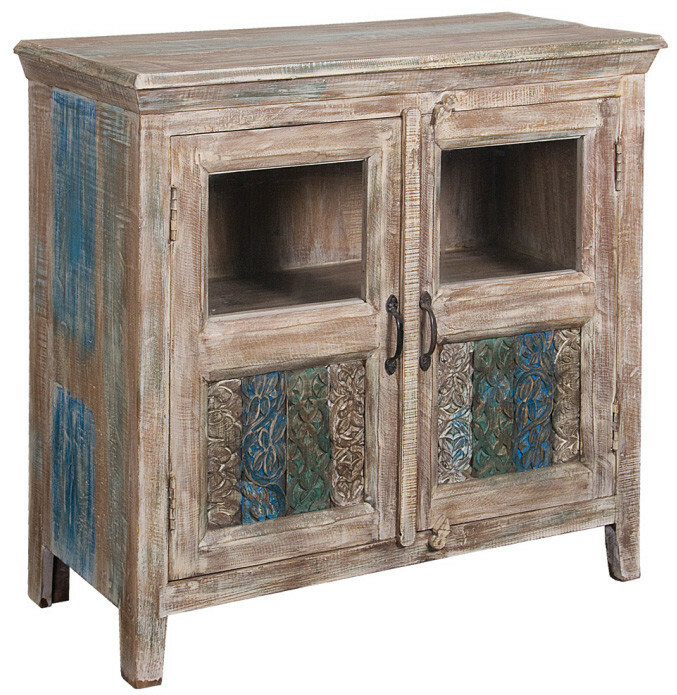 Go rustic with chunky wooden tables or weathered painted finishes that let the wood peek through. The mix of finishes creates an heirloom look. Tree stumps – A popular trend in reclaimed wood, stained or painted tree trunks make unique end tables or stools. 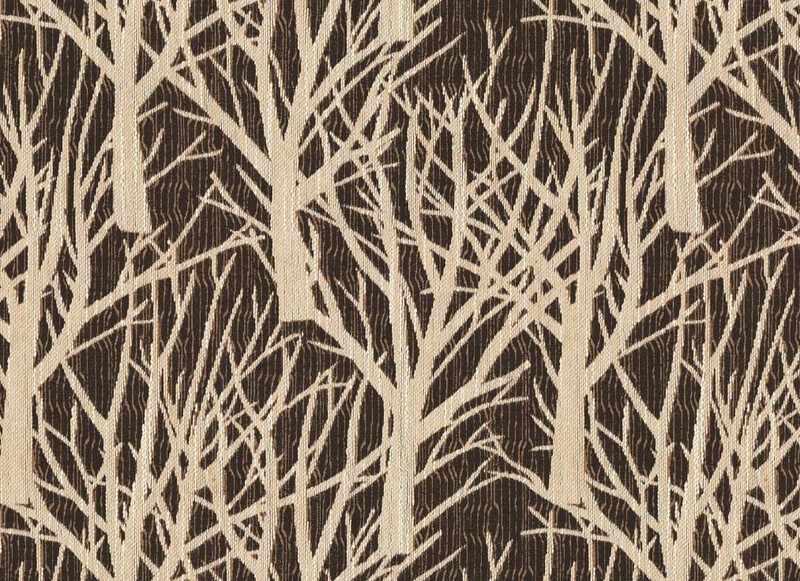 Leaf and branch patterns – Tree designs are always popular, and are a nice homey symbol. An arrangement of evergreens or berry branches is a terrific way to bring the outdoors in. Faux bois – This fake wood grain pattern looks great on many furnishings, including fabric and upholstery, and wallpaper. Capture a cabin-in-the-woods feel with some animal-themed accessories. The woodland has been inspiring design elements for the home this year, and animals bring fun and personality. The fox is at the top of the trend now as the favorite forest pal. His orange and brown coloring and distinctive features are appearing on all kinds of home accents. Owls are also still high on the list too. Whether perched on a bookshelf, represented in a framed print, or adorning a cushion cover, there’s something about the graphic nature of all our feathered friends that enhances any piece – so put a bird on it! Deer, moose, squirrels, mice, hedgehogs are other creatures that never go out of style. Complete your winter retreat with the ambiance of flames crackling in the fireplace. Keep a stack of logs handy, arrange your furniture with the fireplace as the focal point of the room, and you’re all set with an inviting setting. If you don’t have a fireplace, light a few candles to replicate the appealing glow of an open flame. They’ll also contribute nice seasonal scents like cinnamon, pine, clove, or vanilla. To further achieve a soft glow, use lamps instead of harsh overhead lighting. Try an opaque lampshade for a more intimate effect. Carefree and comfortable, the informal style of a rustic winter retreat can make staying inside a pure joy.